Skate sessions will be Wednesday through Sunday until Festival of Ice closes March 11. Daily concessions will be available, including bratwursts, hot dogs, coffee and hot chocolate. On weekends and during special events, more food vendors will be on-site. Matt the Miller’s Tavern will offer beer, wine, wassail and pretzel bites. Baked Cheese Haus, a popular vendor from the Carmel Christkindlmarkt, will serve raclettes, soups and hot beverages. Pastries Chefs Bakery & Pastry will offer croissants, muffins, paninis, waffles, sandwiches, cakes and hot beverages, and Silkelicious will serve mac-n-cheese, pastries, chicken and hot chocolate. 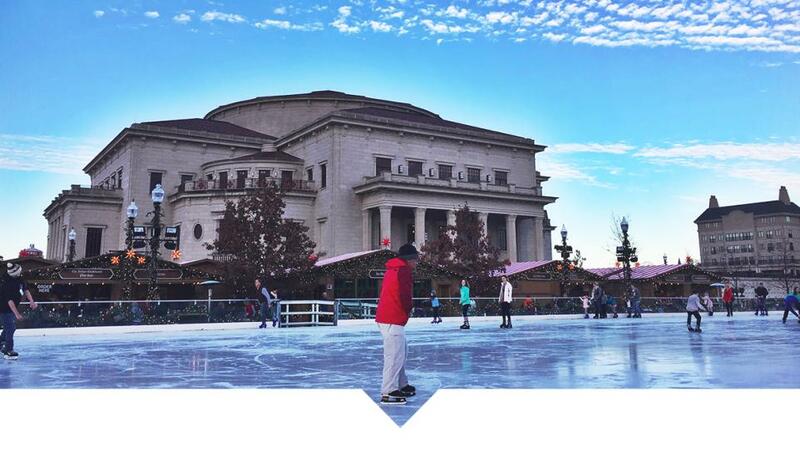 Buy one ice skating ticket and get one free on various days through March 11. Dates and times will vary. Follow Ice at Center Green on social media for updates. Skate to classic tunes Jan. 26, featuring 60s at 6 p.m., 70s at 7 p.m., 80s at 8 p.m. and 90s at 9 p.m. Classic rock music continues Jan. 27 and 28. Wear your favorite NFL jersey on Super Bowl Sunday to skate for free. Wear red, white and blue to celebrate opening weekend of the Winter Olympics and skate for free Feb. 9 and Feb. 11. Note that skate rental is not included. Celebrate Valentine&apos;s Day with free red roses, love songs and chocolate Feb. 14. Professional ice carvers from around the Midwest will compete in an ice carving competition Feb. 17 and 18. Lace up your skates and hit the ice with members of the Indy Fuel professional hockey team during a special appearance. Free skate nights for military veterans will be available on dates TBA. For more information on things to do in Carmel, be sure to follow us on Facebook, Twitter and Instagram and check out our online events calendar.